Illustration reading "On the O High O!" I believe it was trimmed from an old trade card, like the ones seen here and here. 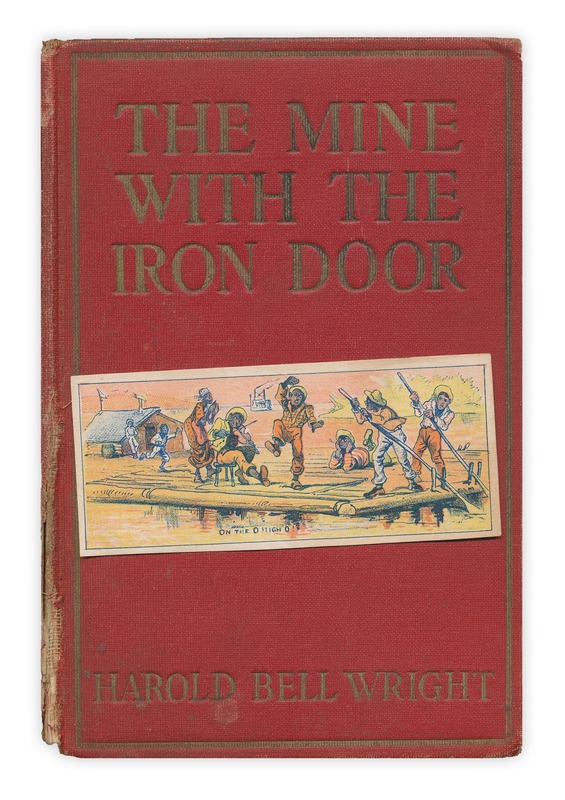 Found in "The Mine With the Iron Door" by Harold Bell Wright. Published by D. Appleton, 1923.